This airticle is aboot the caipital o Fujian. For the ceety in Jiangxi, see Fuzhou, Jiangxi. For ither uises, see Fuzhou (disambiguation). 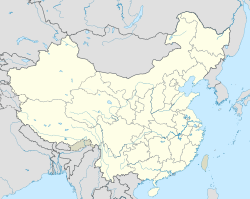 Fuzhou (help·info) (Cheenese: 福州; pinyin: Fúzhōu, [fǔʈʂóu]; Cantonese: "Foochow", Fuzhou dialect: Hók-ciŭ) is the caipital an ane o the lairgest ceeties in Fujian Province, Fowkrepublic o Cheenae. Alang wi the mony coonties o Ningde, those o Fuzhou are considered tae constitute the Mindong (闽东, lit. East o Fujian) linguistic an cultural aurie. Fuzhou's core coonties lie on the north (or left) bank o the estuary o Fujian's lairgest river, the Min River. Aw alang its northren border lies Ningde, an Ningde's Gutian Coonty lies upriver. Fuzhou's coonties sooth o the Min border on Putian, Quanzhou, Sanming an Nanping municipalities. Its population is 7,115,370 indwallers at the 2010 census whom 4,408,076 indwallers are urban staundin aroond 61.95%, while rural population is at 2,707,294 staundin aroond 38.05%. Fuzhou is locatit in the northeast coast o Fujian province, in the opposite o North Taiwan, connects jointly northwards wi Ningde an Nanping, soothwards wi Quanzhou an Putian, wastwards wi Sanming respectively. 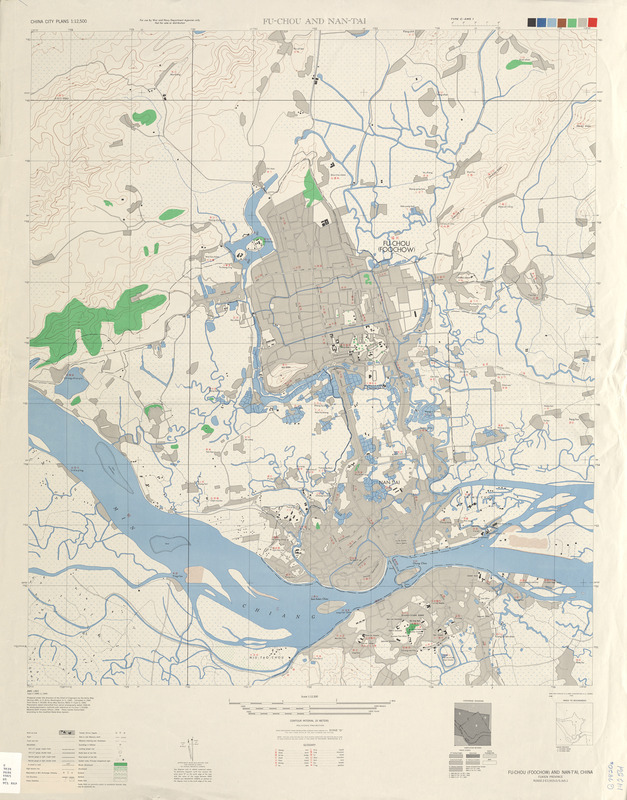 ↑ 1.0 1.1 1.2 "Fuzhou Municipal Statistic Bureau". Fuzhou.gov.cn. Retrieved 2012-04-06. ↑ "Extreme Temperatures Around the World". Retrieved 2010-12-02. ↑ "中国福州". Fuzhou.gov.cn. 2009-09-04. Retrieved 2012-04-06. ↑ "Fujian Foreign Relations 福建省与国外友城关系一览表". The Foreign Affair Office of Fujian Provincial People's Government. Retrieved 2010-02-09. ↑ "Fuzhou: Friendly Exchange Cities 福州国际友好城市概况". the official website of the Fuzhou city. Retrieved 2010-02-09. ↑ "Friendly Exchange Cities Pyeongtaek 福州市与平泽市于2002年8月26日结为友好交流城市". the official website of the Fuzhou city. Retrieved 2010-02-09. ↑ "Friendly Exchange Cities Gwangyang 福州市与平光阳市于2002年8月26日结为友好交流城市". the official website of the Fuzhou city. Retrieved 2010-02-09. Wikimedia Commons haes media relatit tae Fuzhou. This page wis last eeditit on 11 Mairch 2018, at 05:02.